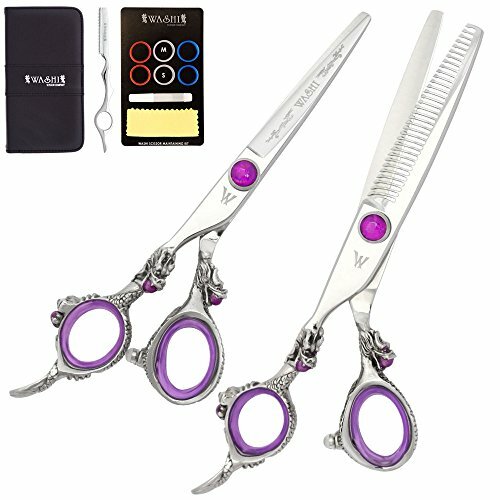 Beautifully designed dragons and purple accents make these shears stand out! The set ships brand new with a 6.0" convex-edged shear, a 33 tooth thinning shear, a texturizing razor, and accessories. You'll get a nice Washi case to store everything as well.